The petitioner has contended that Gandhi, by virtue of support he had extended to the jailed JNU students, was "guilty of treason" and liable to be tried under Section 124A of the Indian Penal Code. The court held Rahul Gandhi “guilty of treason” and liable to be tried under Section 124A of the Indian Penal Code. 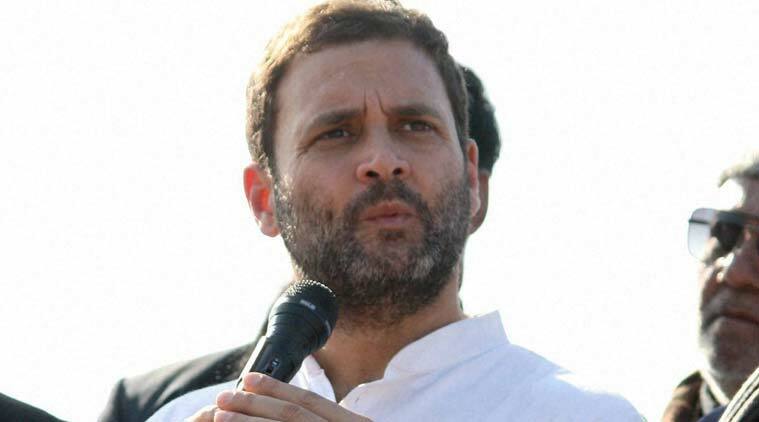 A court in Allahabad admitted a petition on Wednesday seeking trial of Congress vice president Rahul Gandhi on charges of sedition for his opposition to the police action against students of the JNU who had taken part in a demonstration where “anti-national” slogans were allegedly raised. Additional Chief Judicial Magistrate Sushil Kumar ordered that the petition of advocate Sushil Kumar Mishra be admitted for recording of statements under Section 200 of the Criminal Procedure Code on March 1. In his petition, Mishra has contended that Gandhi, by virtue of support he had extended to the jailed JNU students, was “guilty of treason” and liable to be tried under Section 124A of the Indian Penal Code. Incidentally, Mishra had been in news last year for filing a petition seeking trial of US President Barack Obama for allegedly defaming India by making statements about rising religious intolerance in the country. The petition was dismissed by a judicial magistrate who had noted that the American President enjoyed “diplomatic immunity”.